Award winning, open access Youth Choir. Inspiring young voices! ​Founded 94 years ago, Scunthorpe Cooperative Junior Choir has a proud history of providing outstanding musical education combined with enriching life experiences, culminating in a world class choral sound. We are an open access organisation. 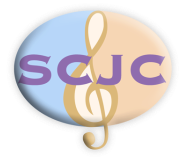 There are no barriers to joining SCJC. The only criteria for getting involved, is a passion for singing. Our highly qualified music team is dedicated to inspiring the best in young people and harnessing their potential to create magical experiences. Sign up to have our newsletter delivered straight to your inbox!